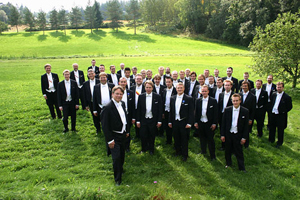 The Finnish YL Male Voice Choir celebrates its 125th anniversary in 2008. Founded at the University of Helsinki in 1883, it remains the oldest Finnish-language choir in Finland. The anniversary festivities were held between March 29 and April 5, 2008 with three acclaimed concerts in Helsinki. An extensive history of concerts and international tours, many commissions of Sibelius's and Rautavaara's best-known choral works and numerous critically acclaimed recordings have established the Choir as one of the world's most prominent male voice choirs. Read more about the YL Male Voice Choir's history by clicking here. For further information please visit the Choir's official website.